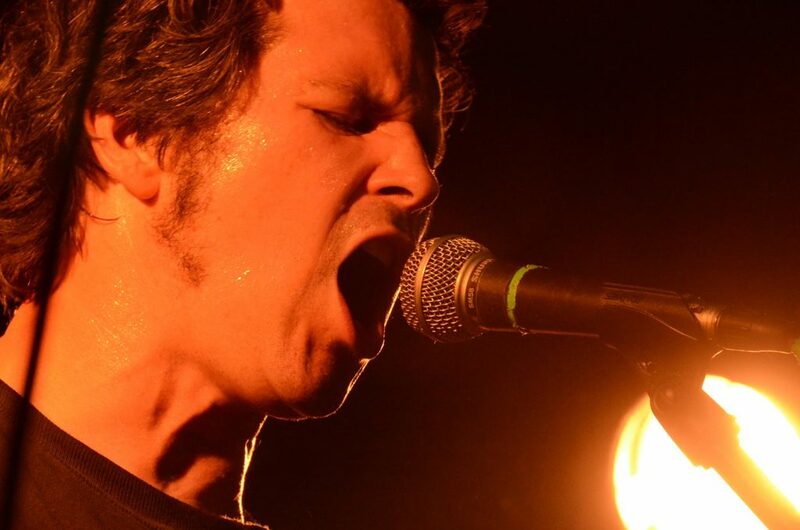 Gear lust is one of the most common reasons for procrastination among recording musicians. 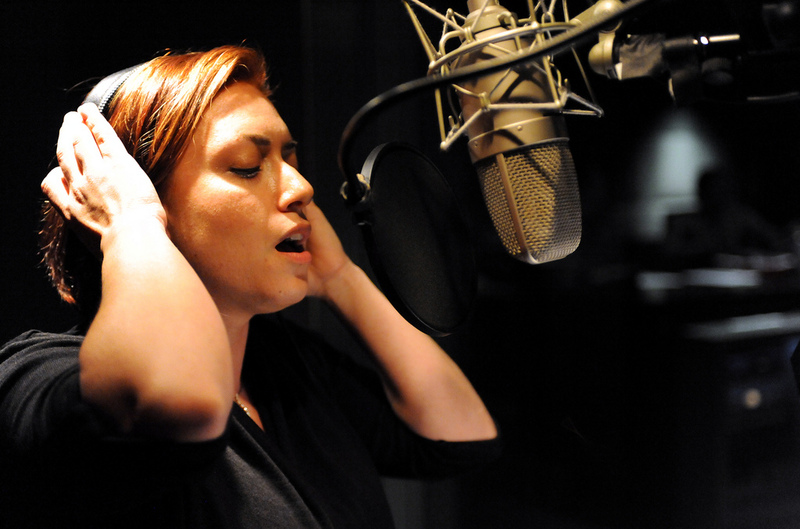 Sure, many of your music heroes recorded at lavish studios equipped with only the finest gear. And top producers can sometimes pontificate about how a rare vintage microphone or wildly expensive condenser mic from a boutique maker was essential to the perfect vocal take. However most of them didn’t start out that way. You may have read about how ‘Sweet Dreams (Are Made of This)’ by Eurythmics was recorded on a TEAC Portastudio in a hotel room. Annie Lennox’s famous lead vocal was captured with a humble Beyer stick microphone typically reserved for hi-hat. The track reached #3 in the UK charts in 1983, and the group’s career shot up like a rocket. But it was primarily talent, arrangement, production skill, and a great song that got them there. The original Snowball is one of the key microphones that helps facilitate the podcasting and YouTube revolution. Blue managed to set its performance high enough to satisfy the streaming-obsessed crowd, while keeping the price low. The combination of value that wasn’t possible just five years prior and really decent sound won over startup podcasters and aspiring YouTubers alike. They didn’t want one of those dirt-cheap desktop “computer mics” we’ve grown to hate, and couldn’t justify getting a pricey “radio mic” like the Shure SM7B or Electro-Voice RE20 either. The Snowball was and still is the goldilocks mic for a ton of content creators: just right. 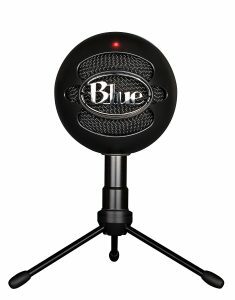 Now Blue recognized the Snowball had professional features that the average solo podcaster, YouTuber or gamer would never use. Namely the Snowball has a three-way switch that allows you to do omnidirectional recording (picks up all the sound in the room), cardioid (sound from in front of the mic), and can give you a -10db pad (for recording loud sounds like drums). Snowball iCE was born by removing omnidirectional capability as well as the -10db pad. These features were wasted for most applications outside of music recording and group podcasting. And by getting to the heart of what makes the Snowball great with the iCE, Blue was able to reduce the price around $20. Nothing huge granted, but even $20 is too much to spend on features you don’t need. The iCE focuses on what we care about most: getting a good sound from sources directly in front of it. It has one capsule inside rather than two as with the original Snowball. 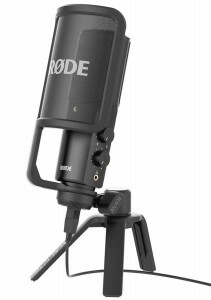 That’s all that is needed to capture solo voice recordings. Take it from a person that has accidentally recorded a podcast in omnidirectional mode, simplicity is a plus. Snowball iCE doesn’t need that tiny switch that in the wrong hands just introduces one more variable to get wrong. Like the Snowball and Yeti before it, the Snowball ICE records audio at 16-bit/44.1kHz. That’s plenty for your average YouTube or streaming production. You’ll need to pay a lot more for the capability to do 24-bit audio as you can do with a pro audio interface plus XLR mic or Yeti Pro. For the price it’s a great sounding mic too with a 40 –18 kHz frequency response. That’s in line with what humans are capable of hearing and more than enough for recording your voice. Blue is known for super cool product design and of course this is what attracted so many to the Snowball in the first place. It’s about as big as a softball and that future-retro grill and logo at the front make it about as adorable as a microphone can be. Blue’s Snowball iCE takes everything we love about the Snowball, and throws out the fancy features to achieve an even more attractive price point. If you you’re itching to start a YouTube channel, new podcast, or are tired of gaming with a cumbersome headset and don’t have much to spend, start your journey here. 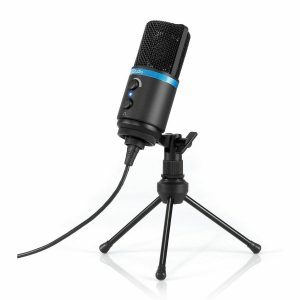 If you simply need a mic for Skype or Twitch, Snowball iCE is more than enough.